Philadelphia Dump Truck Accident Lawyer - The Pearce Law Firm, P.C. In a city the size of Philadelphia, dump trucks are quite common on roadways. Private and governmental entities use them to haul materials like sand, gravel or asphalt for purposes of maintenance, construction and even snow plowing. They have a hydraulically operated bed, and they’re open on the top. When the bed is lifted by the hydraulic system, the contents on the bed fall to the ground. Depending on what it might be carrying, a fully loaded dump truck might weigh up to 65,000 pounds. They don’t exactly stop on a dime, and when roads are wet, they can need 50 percent more pavement than a passenger car to come to a complete stop. They have large blind spots, especially on the right side. They also have a high center of gravity. If cargo shifts, a dump truck can easily tip over and cause hazards on the road or even crash into other vehicles. You might notice that many dump trucks have either very high bumpers or no bumpers at all. That’s all for purposes of ground clearance. When a dump truck impacts with a passenger car, it can crush the car. There are even times when a passenger car will end up under the dump truck. Dump truck accidents aren’t limited to crashes involving other motor vehicles. In June of 2018, a dump truck making a right turn struck and killed a 40-year-old bicyclist. The driver of the truck never saw the victim. Police remarked that the bicyclist was in the large blind spot on the right side of the truck. In August of 2018, a 50-year-old man was struck and killed by a dump truck when he was exiting a SEPTA bus. Both accidents occurred in North Philadelphia. Garbage trucks are dump trucks too. In November of 2017, a 27-year-old bicyclist was killed when she was hit by a garbage truck while riding on the Spruce Street bicycle lane, in Center City, Philadelphia. Dump truck drivers are situated high above the pavement or dirt that they drive on. They might not see pedestrians, bicyclists and motorcyclists. 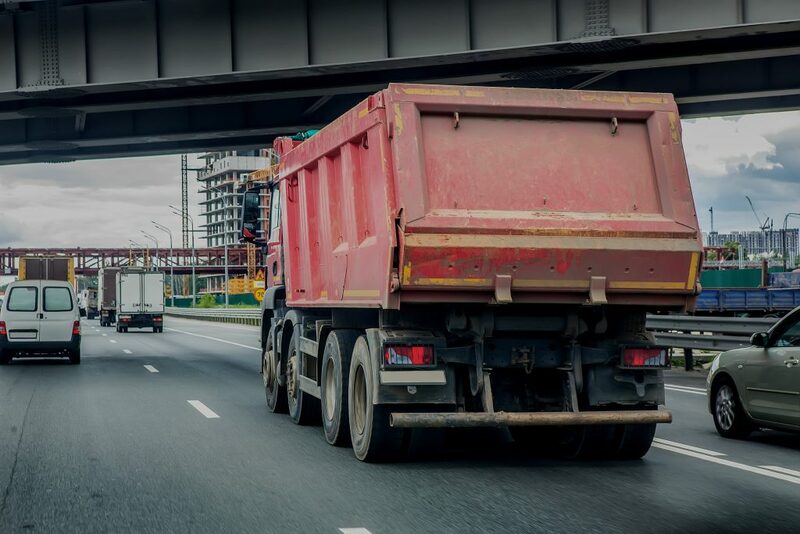 Of course, violations of traffic laws like running red lights or following another vehicle too closely can cause dump truck drivers to be involved in accidents, but there are other causes too. Inexperienced and unqualified drivers are certainly higher risks for being in an accident. Some drivers consume alcohol, drugs or both, and they’re a danger to everybody around them. Then, there are other state laws and federal safety regulations, especially in the context of tires and brakes. Violations of those laws and regulations can lead to severe injuries and fatalities. Traumatic brain injuries that could be mild, moderate or severe and permanent. Traumatic spinal cord injuries that result in partial or total paralysis and the need for lifelong care. Amputation as a result of the impact or out of medical necessity. Severe burns from fuel lines or tanks being torn or ruptured. Wrongful death as a result of fatal injuries. It’s not unusual for the insurer of a trucking company to have investigators at the scene of a serious accident before the damage is even cleaned up. They look for evidence that might be favorable to their insured people or entities rather than evidence that’s favorable to you. Then, in an effort to reduce its financial exposure, that insurer will start pointing its finger at you as being the partial cause of the accident. That’s why you need our experienced and aggressive truck accident team on your side of the crash as soon as possible. Don’t give any kind of a statement to the insurer of the dump truck driver who caused your accident. It will only try to use your own words against you in the future. Contact us first to arrange for a free consultation and case review. If your injuries prevent you from coming to our offices, we can meet with you at your home or hospital. We’re thorough and meticulous in our investigations, and we’re experienced, aggressive and successful litigators. Contact us as soon as possible after being injured or losing a loved one in a dump truck or any other kind of truck accident. You’ll want us on your side right away.